2-Button, 3-pocket fully lined Jacket. Full-back 3-buttoned Vest. Pleated front Pants with elastic waist. 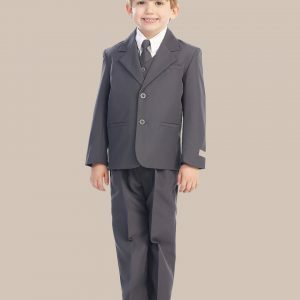 The elastic in the pants will really help maintain a nice fit with growing boys. 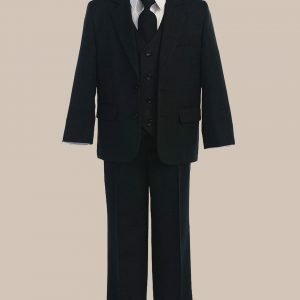 Suit includes a Basic white button-down pointed collar, barrel cuff dress Shirt and matching suit color preformed zip up Tie. 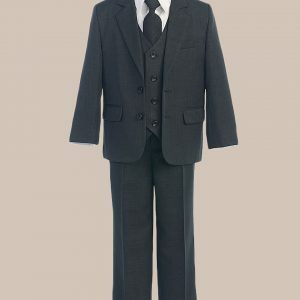 Great suit or tuxedo for any occasion. 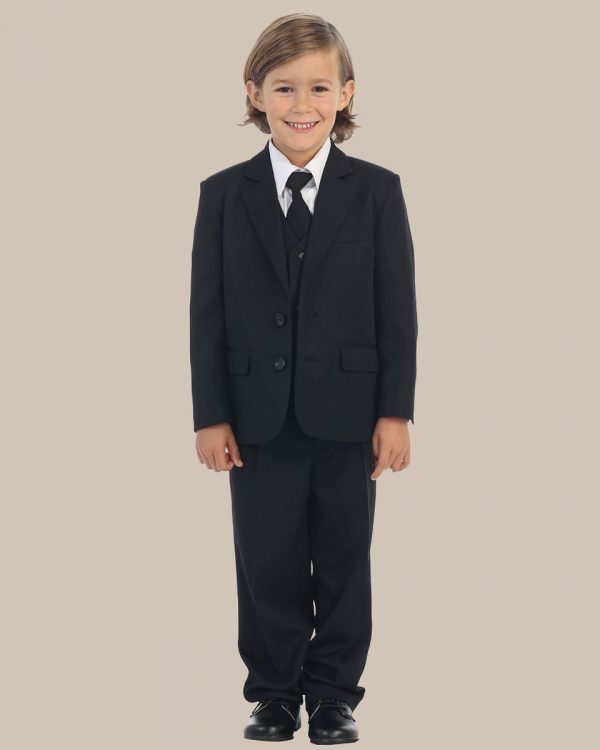 5-Piece formal boy’s suit includes Jacket, Pants, Vest, Shirt and Tie. 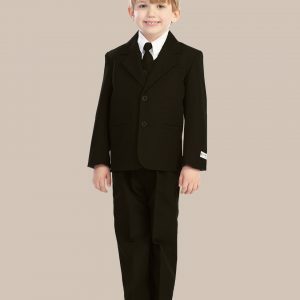 2-Button 3-pocket lined jacket with pleated front and elastic back pants (very helpful for growing boys). Button up fully lined vest with full back. Pre-formed zip-up tie matches the suit color. White button down dress shirt. Pointed collar and barrel cuffs with adjustable cuff width. Dress Shirt: 65% Polyester/35% Cotton.